Hear Kenn discuss the Shamima Begum situation on BBC Radio Hereford & Worcester. Click to hear Kenn discussing reporting suspicion of terrorism on Radio Wales. You can curl up under a table or you can react in a calm, clear manner and dramatically increase your chances of survival in a variety of extreme situations. This book covers all the basics – fire-fighting, shelter-building, water-collection – as well as many other important skills needed to survive the unfortunate events that can occur in daily life. Written by expert Kenn Griffiths, a former soldier and private investigator who worked all around the world. He is skilled in survival techniques, as well as in anti-terrorism and covert surveillance. Buy the book today from Carlton Books. 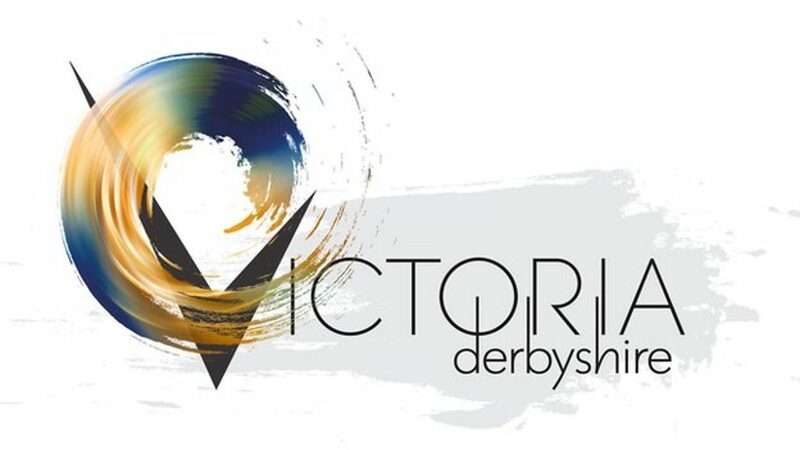 Click below to watch Kenn on Victoria Derbyshire programme talking about drone attacks. What if you were left stranded after an avalanche, or dropped into the middle of a jungle, shipwrecked on an island, or found yourself alone on a deserted street in the middle of a strange city – could you cope? World events have changed our perspective on many things, and proved that even in an age when technology can make life simple, we still need our inner strength and ability to survive day by day. 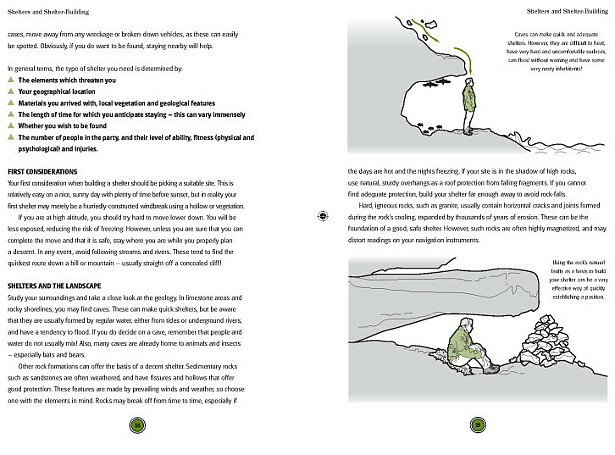 The Essential Survival Guide not only explains how we can develop the right psychological approach to cope with extraordinary and life-threatening situations, but also provides information on the methods and practical techniques that can determine whether you live or die – from basic self-defence to finding food and shelter. No matter where you may go or what you may do, ask yourself one question: do you have the know- how and the will to survive? If not, you need this book. 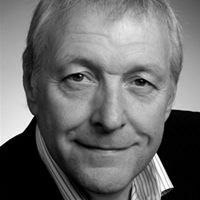 As a former British soldier, private investigator, undercover operator and police special constable Kenn has first hand experience of survival, anti-terrorist and covert surveillance techniques. As a soldier he served in many remote areas of the world and his knowledge and research have given him an invaluable insight into a world which most of us will never see but which he shares with a writers passion. 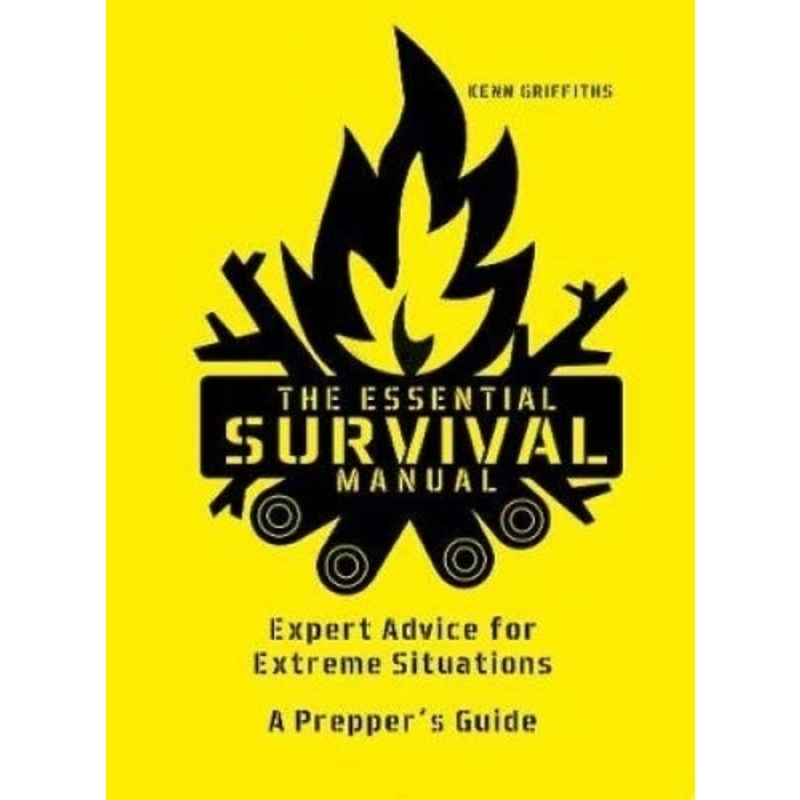 Kenn has authored many books including The Private Investigator’s Handbook and The Essential Survival Manual. 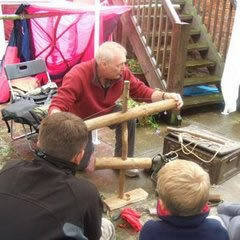 Kenn was invited to give a hands on survival talk and book signing session at Mostly Books, New Bookshop of the Year 2008, in the Thameside market town of Abingdon, Oxfordshire. 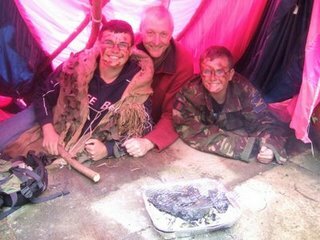 Ever since we set the event up, I was unfeasibly excited about last Tuesday’s “Survival” event with Kenn Griffiths. I’m pleased to say it met all my expectations – and more. A really great event. The shop still smells (faintly) of wood smoke, but the parachute-covered shelter is now down, and lots of children in and around Abingdon now have a better idea on a whole range of subjects – from knowing the best way to light a fire to concealing themselves in foliage – and even the dangers (and best way) of drinking your own wee…. Yes – this was “Survival” at Mostly Books! Taken from the Mostly Books! Blog. To read the full account of Kenn’s visit: Kenn Griffiths at Mostly Books! 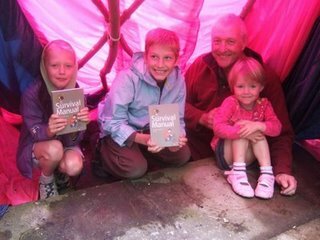 Books: Usborne Survival Skills, The Private Eye’s Handbook, The Private Investigator’s Handbook, Spy Master, The Essential Survival Guide, Map and Compass, The Survival Manual. Magazines: The Royal Geographical Magazine, Survival Weaponry and Tactics Magazine, Countryside Magazine, Why! Army Benevolent Fund Magazine, Daily Agony Column Expert for Inside Divorce E-Magazine. Click to hear Kenn mixing up a worm omlette for BBC Radio Stoke! Click to hear Kenn live on BBC Radio Lincolnshire giving advice on coping with stressful situations. Kenn gives his expert opinion on the relevance of married parents to young offenders in an interview on Radio Europe.